After installing Windows 10 from scratch, and sometimes after updating from a previous version of Windows, you may need to locate and install the latest Windows 10 drivers for your computer's hardware. Because Windows 10 is Microsoft's newest operating system, manufacturers are determining what models of their hardware could work in Windows 10 and then (hopefully) regularly releasing Windows 10 compatible drivers. Never Updated a Windows 10 Driver Before? 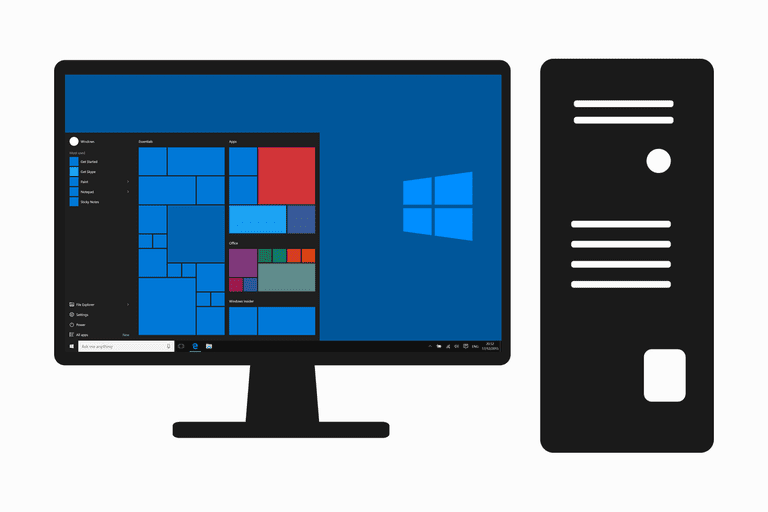 See How to Update Drivers in Windows 10 for a full tutorial. A free driver updater software tool is another option you might want to consider, especially if you're new to this. Two different versions of many drivers are available, both a 32-bit and 64-bit version. Make sure you install the correct one based on which version of Windows 10 you have installed! Any Windows 10 drivers by Acer, for your Acer computer, are available via the Acer Download Drivers & Manuals page. Just search for your Acer PC model and then select Windows 10 from the Operating System drop-down box. If your Acer computer model does not have any Windows 10 drivers available, especially if it is listed on the Acer Windows 10 Upgrade page, don't worry - it just means that the drivers Microsoft includes with Windows 10 probably work just fine. Most Acer tablets, notebooks, and desktops that worked well with Windows 8 and Windows 7 will work just fine with Windows 10. If you do have issues, check Acer's Download Drivers & Manuals page regularly for new drivers. The Acer Windows 10 FAQ page answers a lot of other basic questions about Windows 10 and your Acer computer. The latest AMD Radeon Windows 10 driver is the AMD Adrenalin 18.50.31.01 Suite (Released 2019-04-03). These drivers are also called the AMD Catalyst Drivers and they include everything you need for your AMD/ATI video card to work in Windows 10. Most AMD/ATI Radeon HD GPUs are supported in Windows 10 with these drivers, including those in the R9, R7, and R5 series, plus others. This includes both desktop and mobile GPUs. AMD has also answered a number of basic questions about AMD video card compatibility with Windows 10 in their Windows 10 Driver & AMD Graphics Product Compatibility page. Windows 10 drivers for ASUS motherboards can be downloaded via ASUS Support. Click Download, enter your motherboard model number, and then filter by your operating system - Windows 10 in this case. ASUS did a fantastic job of making it easy to find out how compatible your motherboard is with Windows 10 with their Ready for Windows 10 page. Just sort by Intel or AMD and then locate your motherboard model number. Windows 10 might be supported with a beta or WHQL driver and may or may not need a BIOS upgrade. Everything you need to know is right there. BIOSTAR doesn't keep a list of Windows 10 compatible motherboards or graphics cards, but you can find any Windows 10 drivers they do provide via BIOSTAR Support. Expect most motherboards that work fine in Windows 8 to work equally fine in Windows 10, especially if you're using Microsoft's default drivers. I do, however, expect more and more BIOSTAR-developed Windows 10 drivers to make it into their support area as time goes on. Canon provides Windows 10 drivers for a number of their printer, scanner, and multi-function devices via Canon Support. Just locate your product using the wizard on the screen and then filter by Operating System for Windows 10. If you're just curious about Windows 10 compatibility for your Canon printer or another device, they put together a really easy to use Canon Windows Compatibility tool that makes that really easy. Find your printer from that page, tap or click the +, and check for a green checkmark or more detailed information about Windows 10 compatibility. If you didn't see your Canon device on the other list, check out the Canon Windows 10 Upgrade page, which lists every model that Canon will not be working to ensure Windows 10 compatibility with. Don't worry if your device is on that list - Microsoft probably supports your printer or scanner naively (i.e. with their own basic drivers). That or the Windows 8 driver already available from Canon will also work for Windows 10. The most recent Creative Sound Blaster drivers for Windows 10 are listed, along with download links, on their Windows 10 Software Availability Chart. Just scroll down until you find your sound card name or model number and then download the drivers via the link you're given. If no Windows 10 driver is available for your Sound Blaster device, you'll see instead an Estimated Available Date. Take note of that and check back later. If you can't find your Creative hardware anywhere on this page, please know that Microsoft's default Windows 10 audio drivers will probably work, but there's no guarantee. Other Creative-made devices are listed on this page, too, with their respective Windows 10 compatibility details. As of the last update to this list, I saw external speakers, headsets, webcams, and even some Create software listed. Dell provides Windows 10 drivers for their desktop and laptop computers via their Drivers & Downloads page. Enter your Dell PC Service Tag or Express Service Code, browse for your device manually, or choose to Detect Product for the automated process. Once you've found the Dell device you want Windows 10 drivers for, select it and then choose Change OS and choose Windows 10. Most newer Alienware, Inspiron, XPS, Vostro, Latitude, Optiplex, and Precision branded Dell computers work great in Windows 10. See Dell's Computers Tested for Upgrade to Windows 10 page for a model-by-model list. Your Dell computer may work just fine even if it's not on the list but you won't know for sure until you install, or upgrade to, Windows 10. Some Dell PCs don't, and won't get, Windows 10 specific drivers from Dell. In those cases, and only with some computers, installing a Windows 8 driver is the right way to go. See Dell's Install Compatible Windows 8.1 Drivers for Computers Upgrading to Windows 10 for a tutorial. No matter how well, or not-so-well, your specific Dell PC supposedly supports Windows 10, please read through Dell's General Issues Upgrading Dell Devices to Windows 10 article for what to expect. Many Dell printer drivers for Windows 10 are available via Dell's Drivers & Downloads page and more will be added as they're developed by Dell. Dell also keeps an updated Microsoft Windows 10 Compatibility with Dell Printers page that should be very helpful if you already know your Dell printer model number. Printers are listed as either having Windows 10 Web Package Availability (i.e. you can download Dell-made drivers via Drivers & Downloads), Windows 10 Drivers in CD (i.e. Windows 10 drivers for this printer were included on the installation disc that came with the printer), or Windows 10 Drivers in OS or Windows Update (i.e. Microsoft included the best drivers for this printer in Windows 10 or they'll be downloaded via Windows Update when you connect the printer). Most Dell color and black-and-white, laser and inkjet printers are supported in Windows 10 via one of those methods. Windows 10 drivers for Gateway PCs can be had via Gateway's Drivers & Downloads page on their website. A complete list of computers that Gateway will support on Windows 10 can be found on their Windows 10 Upgrade ​page. Some LT, NE, and NV series Gateway notebooks are listed, as are some DX, SX, and ZX series desktop computers. HP provides Windows 10 drivers for many of their tablet, laptop, and desktop computers via their HP Software & Driver Downloads page. There isn't an easy-to-reference list of HP computers that work well with Windows 10, like with some other computer makers, but HP does provide some help. Head to the Upgrade Your HP Computer to Windows 10 page and enter your computer's product number in the field provided and then tap or click Find my product. Don't know where you HP product number is? Check the sticker on the back of your desktop or under your tablet or laptop. If your sticker is worn out, execute CTRL+ALT+S on HP desktop PCs, or FN+ESC on HP notebooks and it'll pop up on screen. Download HP printer drivers for Windows 10 via the HP Software & Driver Downloads page. HP has also provided one the best Windows 10 reference pages I've seen for their products: HP Printers - Windows 10 Compatible Printers. Find your printer and learn which set of drivers HP recommends for Windows 10, additional Windows 10 driver options (if available), and even information on Windows 10 Mobile support. You'll find Windows 10 driver information for HP Designjet, Deskjet, ENVY, LaserJet, Officejet, Photosmart, and PSC printers. If you're confused about what you're looking at, have more questions, or run into trouble, see HP's excellent Windows 10 Upgrade Guide for HP Printers article. The latest Intel Chipset Windows driver for Windows 10 is version 10.1.1.42 (Released 2017-01-17). Intel Chipset drivers aren't "drivers" in the typical sense - they're just a collection of informational updates for the operating system (Windows 10 in this case) that help it properly identify motherboard-integrated hardware that it's probably already working with just fine. Motherboards by any manufacturer with Atom, Celeron, Pentium, 9 Series, Core M, and 2/3/4 Generation Intel Core chipsets are all supported. Windows 10 drivers for Intel-manufactured hardware, like graphics chipsets, network hardware, etc., can all be found via the Intel Download Center. From the Download Center, search for the Intel hardware by name, or drill down via the Find By Category tool. On the search results page, filter by download type if that helps, and then filter by the Operating System - choose Windows 10. Windows 10 drivers for your Lenovo computer can all be found via Lenovo Support. Lenovo computers that have been tested in Windows 10 can be found on the Lenovo Supported Systems List for Windows 10 Upgrade page on their site. Lenovo-tested Windows 10 supported models are from IdeaCentre, ThinkCentre, IdeaPad, ThinkPad, ThinkStation, and Lenovo Series desktop/laptop/tablet series. A number of Lenovo-brand computers are also listed as not compatible, meaning that upgrading or installing Windows 10 on the computer may result in some major issues. See that list, plus some more help, on the Lenovo Windows 10 Upgrade Guide page. Lexmark Windows 10 drivers can all be found on the individual download pages for their printers and other devices via Lexmark Support. Once on the support page for your printer, filter the Operating System first for Windows and then Windows 10. Lexmark also maintains a Windows 10 Driver Compatibility List with most of their printers listed, along with detailed compatibility information. More help, including what to do when you run into trouble with your Lexmark printer in Windows 10, can be found on their Microsoft Windows 10 Guides & Support Information page. Yes, Microsoft made Windows 10, but they also develop, manufacture, and support hardware. See the Microsoft Hardware Driver Downloads page on Microsoft's site for links to the individual product pages for their devices where you'll find updated Windows 10 drivers. While this is probably no surprise, Windows 10 is likely to already include these drivers ready-to-go in their operating system but if not, you'll find them here. Microtek had spotty support for Windows 8 and it appears to have even less for Windows 10. While I'm not seeing any available as of the last update to this page, any Microtek scanner drivers that may be made available will be downloadable via Microtek Support. The latest Windows 10 driver for NVIDIA GeForce is version 425.31 (Released 2019-04-11). This particular NVIDIA driver is compatible with the TITAN series and the GeForce 10, 900, 700, and 600 series desktop GPUs, as well as GeForce MX100, 10, 900M, 800M, 700M, and 600M series notebook GPUs. NVIDIA releases drivers for their video chips irregularly, but frequently, so keep an eye out for updates that improve compatibility with Windows 10 and increase game performance. Usually these direct-from-NVIDIA drivers are best for your NVIDIA-based video card, no matter what company actually manufactured the card but that's not always the case. If you have trouble with these drivers in Windows 10, check with your video card maker for a better download. The latest Realtek High Definition Windows 10 driver is R2.82 (Released 2017-07-26). Realtek driver updates rarely if ever improve on anything. Much like Intel chipset drivers, Realtek drivers often only update reporting information. Check with your motherboard maker if you have trouble with these Realtek HD audio drivers in Windows 10. They may have a custom-compiled driver that is a better fit for your system. Windows 10 drivers are available for a number of Samsung PCs, which you can download via the Samsung Download Center on those individual model's support pages. Most Samsung computers that worked well with Windows 8 and Windows 7 will work great with Windows 10. If you'd like to quickly see if your specific Samsung PC can upgrade to Windows 10, use the drop-down menus on the Samsung Windows 10 Update Information page to find your specific product. Sony provides Windows 10 drivers for a number of their computer models, available from the Drivers, Firmware & Software page on Sony's website. More information about Windows 10 compatibility with specific Sony PCs can be found on the Sony Windows 10 Upgrade Information page. Choose the basic information about what version of Windows came preinstalled on your Sony PC and then read more about what issues, if any, you might expect to encounter during or after your Windows 10 upgrade or installation. Be sure to check for updated Windows 10 drivers for your individual Sony PC model to see if any of this issue can be corrected. Toshiba provides Windows 10 drivers for their computer systems via their Toshiba Drivers & Software page. Enter your Toshiba computer model number to see downloads specific for you computer. Once there, filter by Windows 10 from the list in the left margin. Toshiba has also published an easy-to-reference Toshiba Models Supported for Upgrade to Windows 10. You'll find a number of models that support Windows 10 from the KIRA, Kirabook, PORTEGE, Qosmio, Satellite, TECRA, and TOSHIBA families. Can't Find a Windows 10 Driver? Try using a Windows 8 driver instead. This doesn't always work but often will, considering how similar Windows 8 and Windows 10 are.